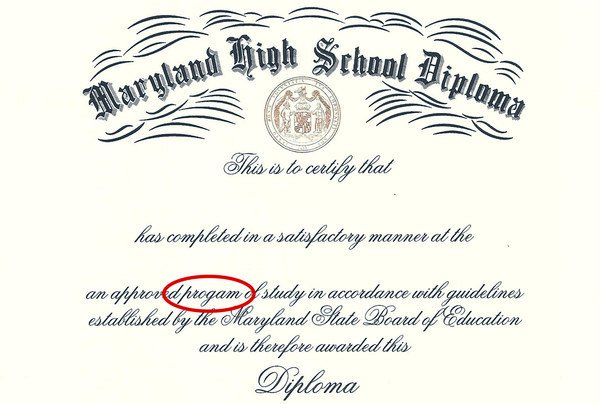 Students graduating from Frederick Douglass High School in Upper Marlboro, Maryland have been presented with these Diplomas, as reported in The Washington Post. 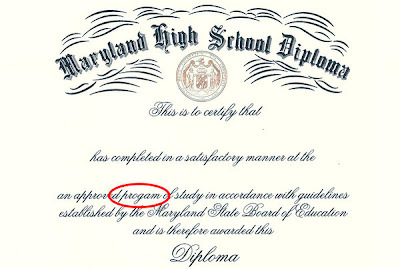 Local Public Schools Communications Director Briant Coleman confirmed that a 'vendor error' sent the same faulty diploma to every high school in Prince George County. That's 8,000 altogether. I like this comment from strollerderby.